Today is the feast day of Saint David, the patron Saint of Wales. It is a public holiday in Wales not unlike Saint Patrick’s Day in Ireland, and is celebrated with parades, festivals, and other cultural events. It is a day to celebrate Wales and Welsh culture around the world, so I thought I would share some of what I love about Wales with you today. I was lucky enough to go to Swansea University for both of my degrees and I lived in Wales for seven years. 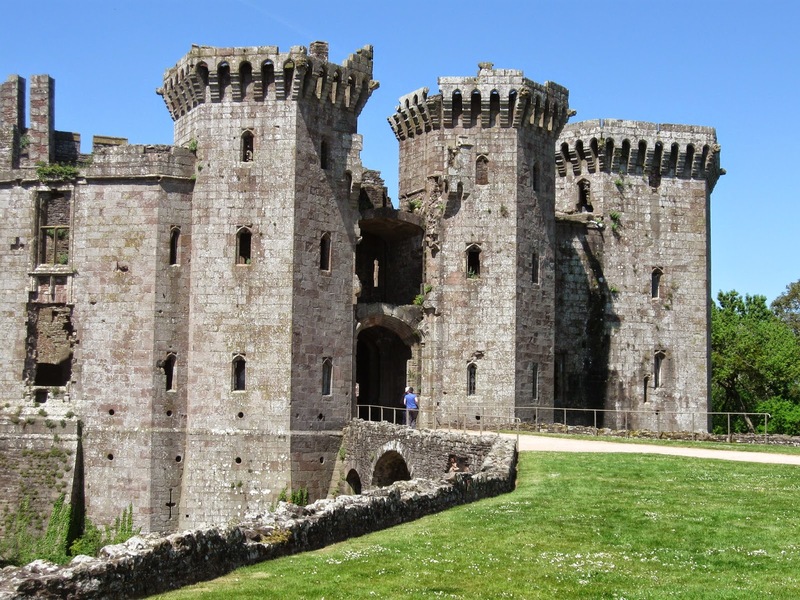 There are so many things I love about Wales that it would be difficult to summarize in a single blog post, so I’m going to focus on one of my favorite things: the castles! As I’m a historical romance author with a degree in Medieval History, it might not surprise you to hear that I love castles. If you like castles, too, you should know that Wales has more castles per square mile than any other country on earth, and they’re all beautiful with dramatic locations and fascinating history. I got to visit many castles and other historical tourism attractions around Wales as a freelance journalist, so I have built up quite a collection of photos and Cadw brochures. Although I haven’t seen every castle in Wales yet, I do have my favorites, and I thought I would share those with you today. Hay Castle in Hay-on-Wye is one of the last surviving castles of the Welsh marches. Built for defense by William de Braose in the late twelfth century, it was sacked by the last Prince of Wales, Llewelyn II in 1233. It was rebuilt by Henry III, and in 1660, the Jacobean mansion Castle House was built alongside it. Although it has been damaged by fire twice in the last hundred years, there’s still much to see, and parts of the 18th century formal gardens can still be seen. Today, the castle is owned by the Hay Castle Trust, an organization devoted to the conservation of this historic monument. 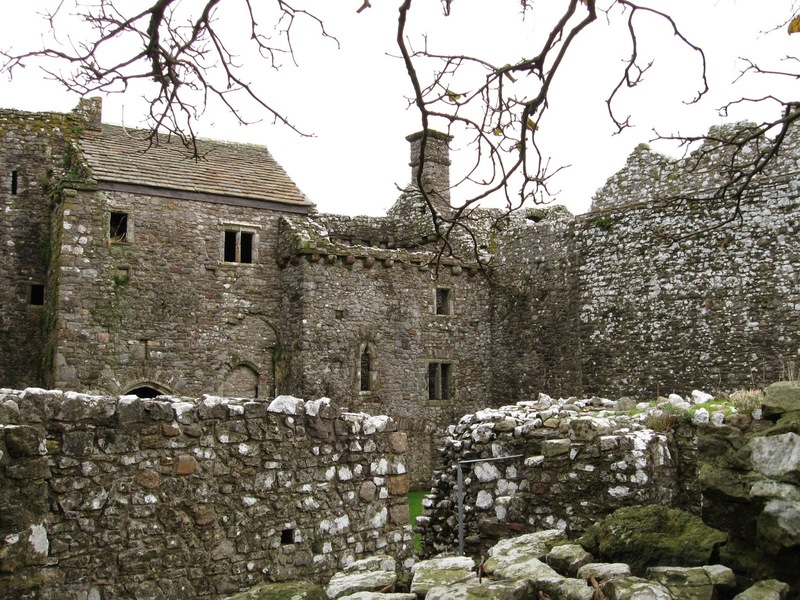 Preserving Hay Castle will take a lot of work, and the Trust has a vision to make the a center for education and culture. You can learn more about them here. It’s well worth a visit, and not only for the history: Hay-on-Wye has a yearly festival of arts and literature visited by hundreds of thousands with lots of great guest authors. 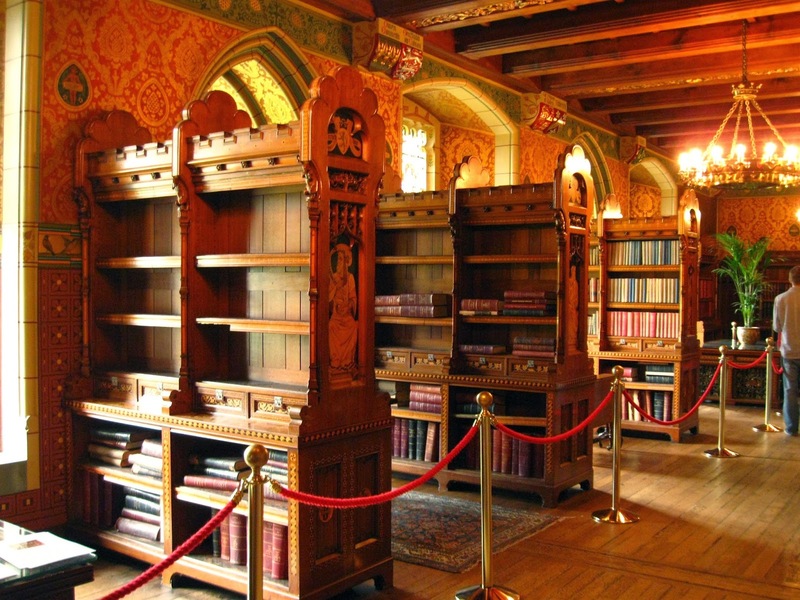 The town itself is the National Book Town of Wales and has more than two dozen bookstores, many specializing in used and rare books. The first castle on this site was built in 1106 by William de Londres after Gower was captured by the Normans. Ten years later, it was burned by the Welsh of Deheubarth when they retook the Gower peninsula, and again in 1137 after it had been rebuilt. 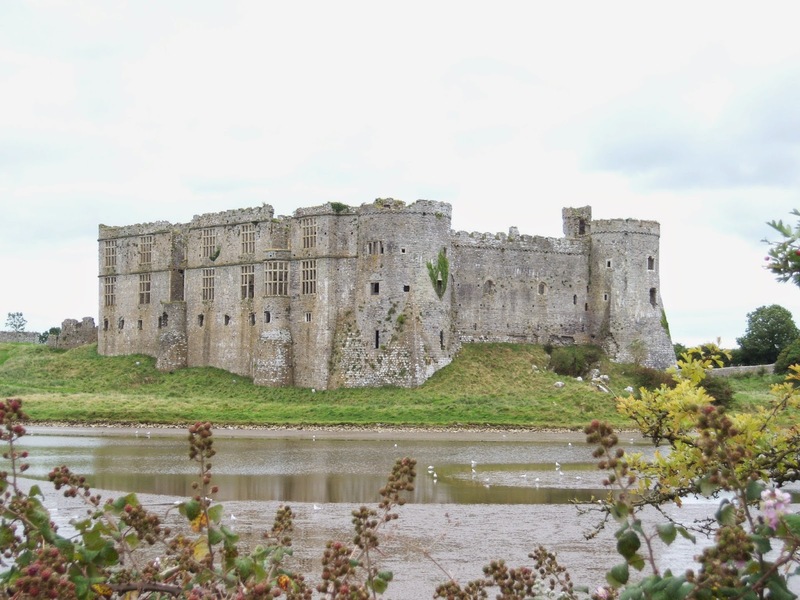 Henry III expelled the Welsh from the Gower in 1220 and gave it to John de Braose who at last built it in stone. Edward I even visited in 1284. The chapel was later improved by Aline de Mowbray, and much of it still stands today (see one of the fourteenth century windows, above). Oystermouth is located just outside of Mumbles, overlooking Swansea Bay, and has recently undergone a massive refurbishment by the National Assembly for Wales. Updates include a thirty-foot high glass viewing platform and bridge through the chapel to the windows on the other side. 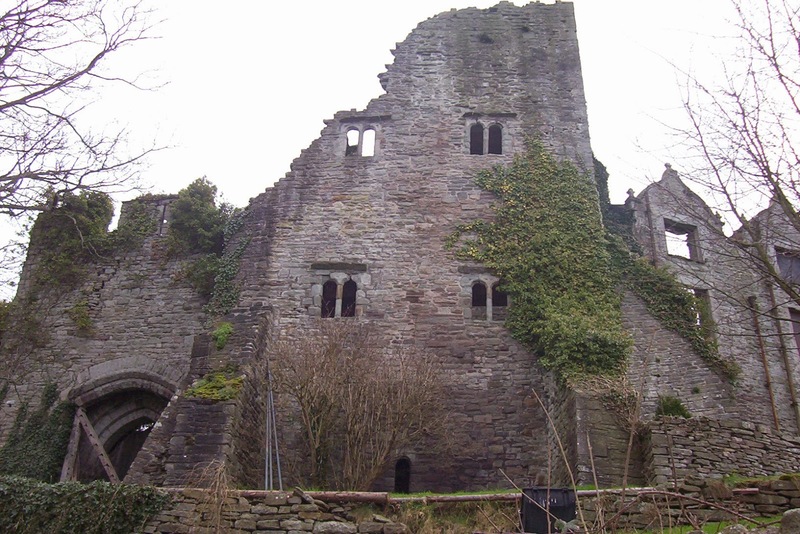 Weobley Castle is a fortified manor house overlooking the Llanrhidian Marsh built more for comfort than defense by the de la Bere family in the twelfth century. 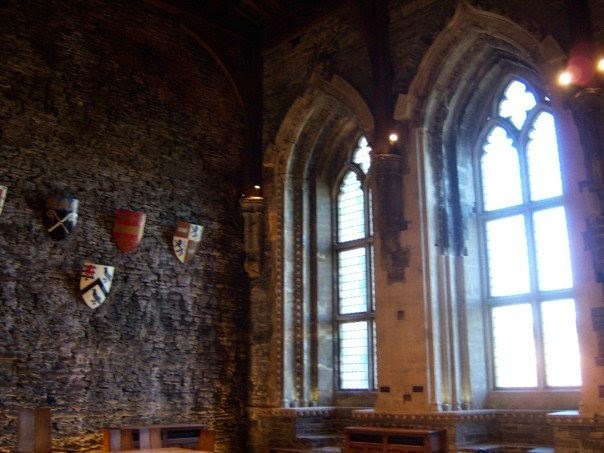 While the walls are not what they once were (I climbed them) perhaps due to Owain Glyndwr’s attack in 1403, the castle was built with many comforts, including private rooms, fireplaces, decorative windows, and multiple indoor toilets! 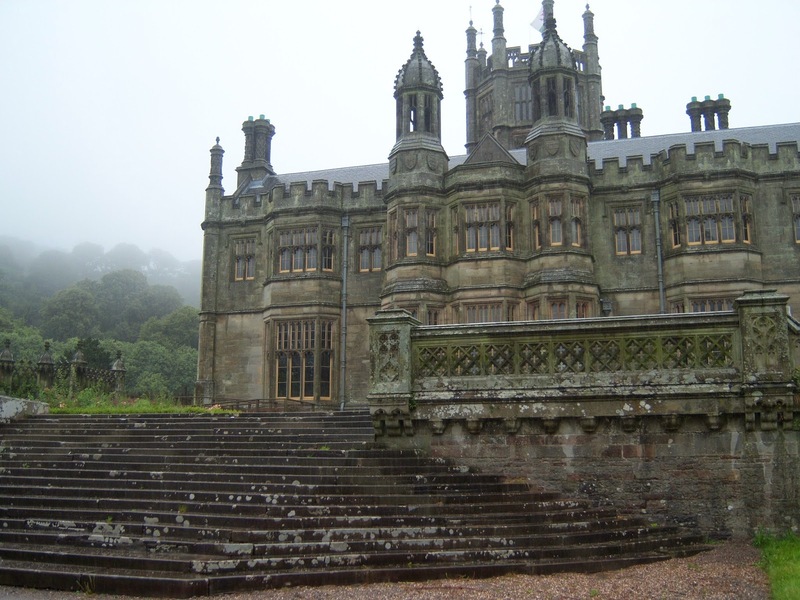 Margam Castle is really a Victorian country house built between 1830 and 1840 during the Gothic Revival for Christopher Rice Mansel Talbot. It was designed by Thomas Hopper and Edward Haycock Snr. David Evans-Bevan bought it in 1941, but found it too large to live in, so the castle fell into disrepair. Restoration began after it was damaged by a fire in 1977. Today, the castle hosts ghost tours and is a popular setting for ghost hunter TV shows. Episodes of Doctor Who have also been filmed here. Now little more than a beautiful shell, Laugharne has a long and complicated history. The first castle on this site was built in 1116 by Robert Courtemain and served as the place where Henry II and Rhys as Gruffudd agreed to a treaty of peace in 1171. Rhys ap Gruffudd later burned it down in 1189 when the castle was retaken by the Welsh of Deheubarth after the death of Henry II. Rebuilt in 1215 by the Normans, Laugharne was promptly captured by Llewelyn the Great and destroyed in 1257 by Llewelyn ap Gruffudd. Although Sir John Perrot converted it into a Tudor mansion in the late sixteenth century, it suffered further damage by cannon fire in a week long siege during the Civil War, after which it was left as a romantic ruin. In more recent years, the castle has served as a place of inspiration for artists and writers. Here Richard Hughes wrote Hazard, and Dylan Thomas wrote his Portrait of the Artist as a Young Dog. The nearby boathouse was home to Dylan Thomas and his family from 1949-1953 and still has much of original furniture. Well worth a visit! Carew Castle stands on a limestone bluff that has been used for military purposes for at least 2,000 years. 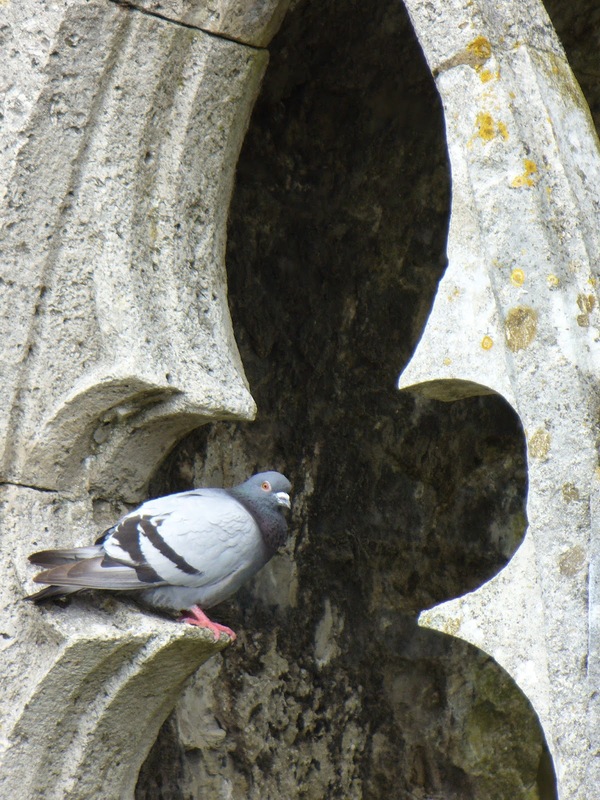 The first stone keep was built on this site in 1100 by Gerald de Windsor. The castle was expanded almost continuously until the Carew family fell on hard times during the Black Death and it was mortgaged. Rhys ap Thomas expanded the castle again with luxurious Tudor apartments. Carew reverted to the crown in 1531 when Rhys’ grandson was executed for treason by Henry VIII. 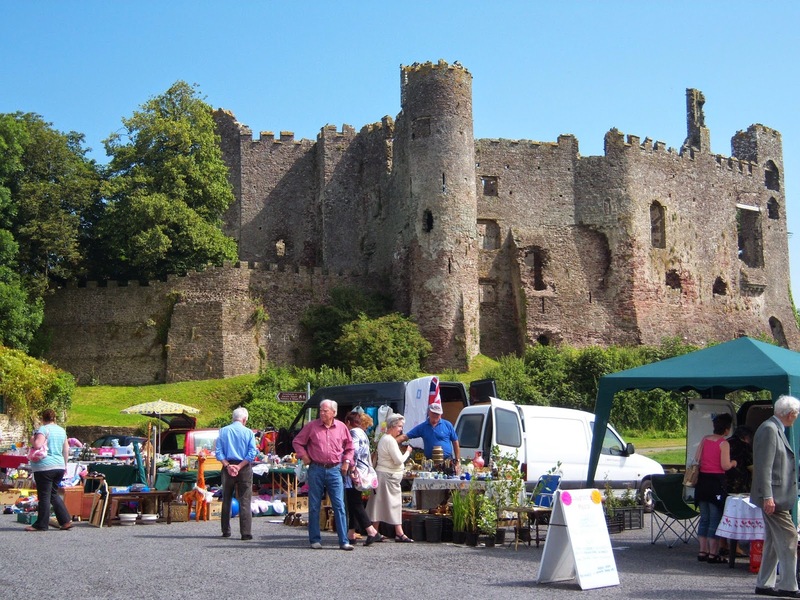 Like Laugharne, it was acquired by Sir John Perrot and completed. The castle was repurchased by the Carew family in 1592 after Sir John Perrot died out of favor in the Tower of London. Although it was refortified by the Royalists during the Civil War, much of it was pulled down by the local Parliamentarians it was abandoned during the late seventeenth century. There’s still plenty to see, though, and the grounds also contain Wales’ only intact Tidal Mill built in the early nineteenth century. Oh, and it’s haunted by a monkey. 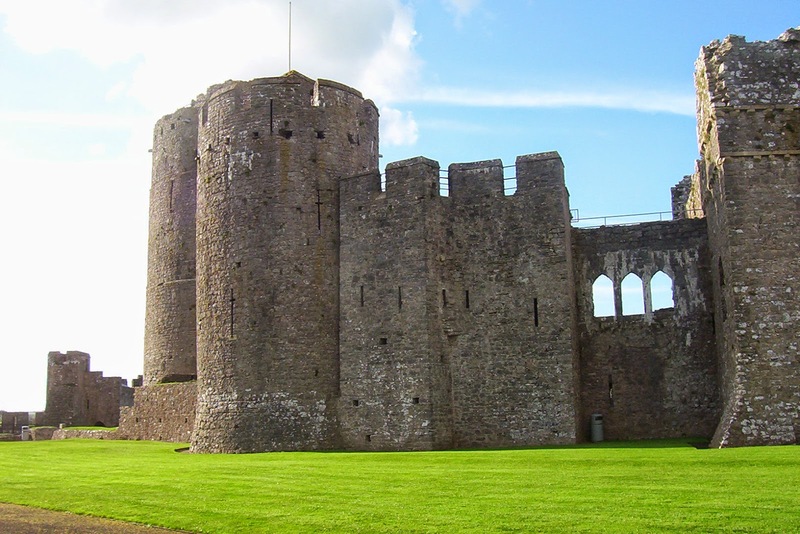 Begun in 1093 by Arnulf de Montgomery, Pembroke has withstood sieges and survived the Civil War. Henry VII was born there in 1457. 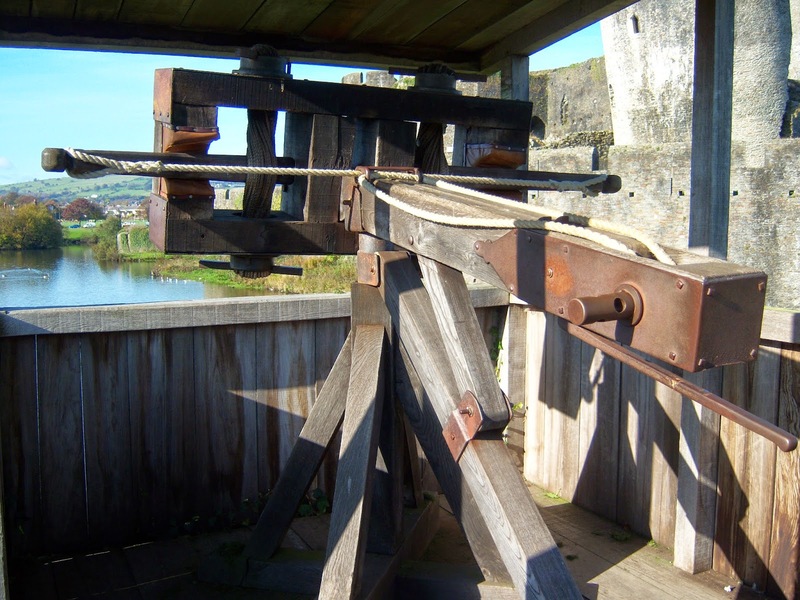 Enormous and wonderfully intact, Pembroke Castle is like a full-sized playground for adults. There are enough rooms, halls, and staircases in wonderful condition to keep you busy for hours, including the massive drum tower built in by none other than William Marshal (sigh!). You can climb the stairs and even sit on the top if you’re brave, or try not to look down if you’re not! There are few places where so much history is so accessible. It is without a doubt one of the best preserved castles in Wales. 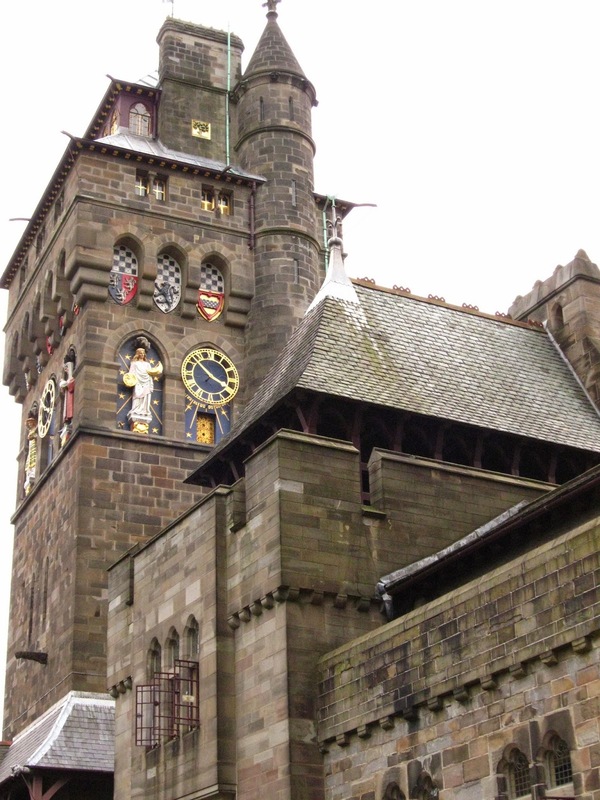 Although parts of Cardiff Castle are medieval or even Roman, much of what you see today is the result of a nostalgic fever-dream that Bute had in the 19th century and built with the help of mad genius William Burges. This idea we have of the middle ages being particularly romantic is a result of hundreds of years of rose-tinted propaganda dating back to the early Arthurian Romances, and it hit a high point when the Industrial Revolution set people yearning for simpler times. 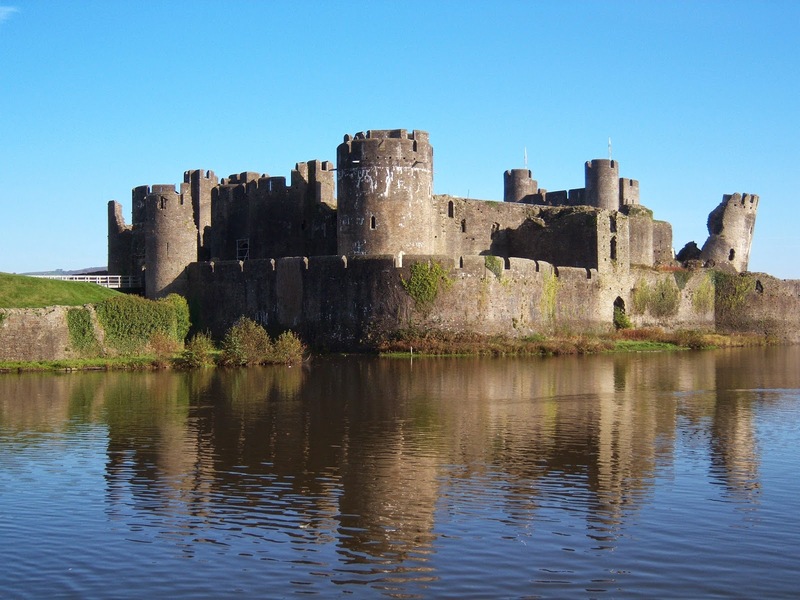 Caerphilly Castle is the second largest castle in Britain. The only one bigger is Windsor! Built in the thirteenth century by Gilbert de Clare, it introduced concentric castle defenses to Wales and boasts “the most elaborate water defenses in all of Britain.” Situated on an island surrounded by artificial lakes with fortified dams, Caerphilly withstood several attacks throughout the fourteenth century and eventually fell into disrepair until it was restored by the Bute family in the eighteenth century. Beautiful as it is well-designed, Caerphilly is a wonderful day out and can even be rented for weddings and other parties. Several episodes of Doctor Who have been filmed here, too! Of all the castles I’ve seen, Raglan may be my favorite. A fifteenth century castle in the Welsh Marches, Raglan is a newer castle than many in Wales, but is no less stunning for it. Sir William ap Thomas started it in 1432 and building continued under his son, William Herbert, the first Welshman to be made an earl. 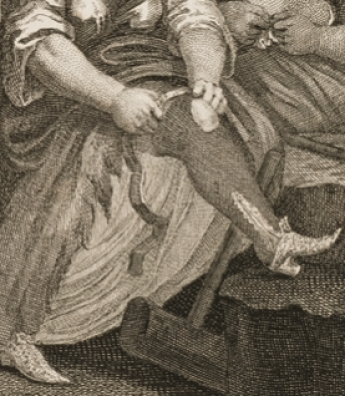 Expansions were made through the 17th century until the civil war. It resisted Cromwell’s army during a thirteen-week siege before it was surrendered and dismantled by parliament. Enough of it remains that it’s well worth a visit. The hillside setting is beautiful in the summer, and swallows dart around the moat catching insects. As lovely as it is now, you can tell that it was stunning when it was still in use. If you have ever have the chance, be sure to see it. At only thirteen miles away from Tintern Abbey, you can’t beat it for location. Bizarrely, the land Raglan was built on had previously belonged the Earls of Hereford following the Norman Invasion. I find this a particularly strange coincidence not because of the location (come on, Hereford is right there), but because there is an Earl of Hereford in my novels. By the time I’m writing in the 1670s, the title had gone extinct.